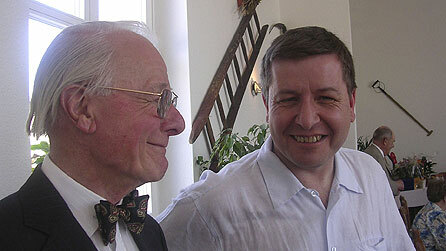 In 2007 my Dad was killed in Bristol by a psychotic man who was well known to local mental health services. My dad didn’t know the man and had never spoken to him before. It was a completely unprovoked attack on a wholly innocent man. I loved my Dad and I still think about him every day. I miss him a lot. His murder was devastating for me and all of my family. You would think murder victims’ families would get lots of help and support but I was surprised to find how difficult it was to get any information about what had happened – and what was going to happen next. I’ve got more than 20 years experience as an investigative journalist and documentary filmmaker, but I still found it incredibly difficult to get the information I needed. I had no idea whether what my family was going through was at all typical or whether other families had experienced anything remotely the same. I didn’t know how common such killings were, or whether Bristol was particularly bad place for serious violence by the mentally ill.
It’s taken many years of intensive research to gather, source and verify the information for this site. It turns out that hundreds of families have experienced what my family was going through. But they all suffer alone and in silence. Nobody appears to be helping them. Nobody is trying to do anything positive about the problem. This site is designed to change all that. 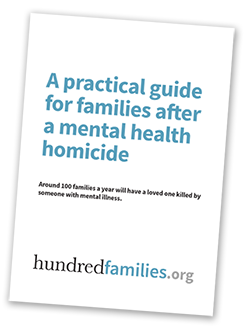 It aims to offer accurate information and practical advice for families bereaved by people with mental health problems along with evidence based resources for mental health professionals and others interested in serious violence by the mentally ill.